NIT Andhra Pradesh Recruitment 2018: National Institute of Technology West Godavari District, Andhra Pradesh is inviting application forms to fill up Non-teaching positions. So, the interested applicants can submit an online application form to be sent before 15th October 2018 @ www.nitandhra.ac.in. We have provided all the details related to the NIT Andhra Pradesh Jobs Recruitment 2018 on this page. Thus, the contenders can check all the details and apply for the NIT AP Recruitment 2018. Check the below portions and find the procedure to apply for the NIT Andhra Pradesh Recruitment 2018. We have given the details related to the NIT Andhra Pradesh Eligibility, Application Process, Selection Process, and PayScale. 1.5 How To Apply For NIT Andhra Pradesh Recruitment 2018? Technical Assistant / Junior Engineer / SAS Assistant / Senior Pharmacist: First class Bachelor’s (Honors) Degree in Biotechnology / Microbiology/ Biochemistry or equivalent grade from a recognized University / Institute (Technical Assistant). 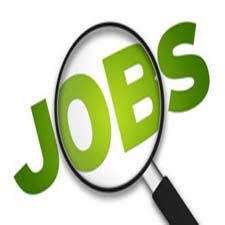 Technician, Laboratory Assistant, Work Assistant: B.Sc. Degree in the relevant field from a recognized University/Institute. Security Guard / Attendant / Mali (Higher Scale): Matriculation or ITI or equivalent pass from a recognized Board or Institute. Junior Assistant: 10+2 in any discipline with a minimum Typing speed of 35 w.p.m. and proficiency in Computer Word Processing and Spread Sheet. Senior Technical Assistant / Assistant Engineer/ Senior SAS Assistant: First class Diploma in Engineering in relevant field with the excellent academic record. Senior Technician, Senior Work Assistant: -Senior secondary (10+2) from a recognized board and ITI Course of one year or higher duration in appropriate trade. Superintendent / Accountant: First class (Hons.) Bachelor’s Degree or an equivalent grade from a recognized University or Institute in any discipline (In universities without a system of Honors degree, equal number of courses). Senior Assistant: 10+2 in any discipline with a minimum Typing speed of 35 w.p.m. and proficiency in Computer Word Processing and Spread Sheet. Stenographer: 12 standard passes or equivalent from a recognized. Assistant Registrar: Essential Masters’ degree in any discipline with at least 55% marks or its equivalent Grade ‘B’ in the UGC 7-point scale from a recognized University. Assistant Librarian: Master’s Degree in Library Science / the Information Science / Documentation Science or an equivalent professional degree. Students Activity & Sports (SAS) Officer: First Class Master’s Degree in Physical Education or Master’s Degree in Sports Science with at least 60% marks. Executive Engineer: First class degree or an equivalent grade in Engineering (Civil) from a recognized University / Institute and five years’ experience in relevant field as Engineer / Asst.Engineer. Medical Officer: MBBS Degree or equivalent. Security Officer: A Bachelor degree from a recognized University I Institute which five years’ experience in Supervising position. The total number of applicants to be called for Skill/Proficiency Test and Written test and Interview. How To Apply For NIT Andhra Pradesh Recruitment 2018? We think the information related to the NIT Andhra Pradesh Recruitment 2018 is helpful to all the applicants. Follow our web portal Sarkari Naukri to gather more latest news.